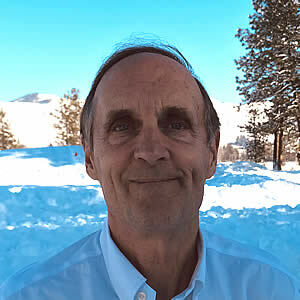 Methow Valley Elementary School Principal, Bob Winters, Announces Plan to Retire at the End of the 2018-19 School Year :: Methow Valley Schools • Every Student Shines! After 34 years of exceptional service in support of students, staff, parents, and community members near and far, Methow Valley Elementary School Principal, Bob Winters, has announced his plan to retire from education at the end of the 2018-2019 school year. Winters has served as the Methow Valley Elementary School Principal for the past four years, concluding a 34-year career that included time spent serving as an educator in Bellingham, Boston, and several international schools. This year marks his ninth year as a school principal in addition to his twenty-five years as an elementary and middle school teacher. During his time spent serving as the Methow Valley Elementary Principal, Winters has supported a number of noteworthy initiatives. Some of these include: authorization as an International Baccalaureate – Primary Years Programme, the adoption of the K-6 Bridges mathematics curriculum and Read Well reading curriculum and support for teacher participation in Columbia University’s Teacher College Literacy-based professional development that now guide our literacy programs. Methow Valley Elementary School has witnessed significant increases in student enrollment during Winters’ tenure. With a focus on developing an environment that inspires high quality teaching and learning, Winters has also helped to shape and guide the many physical improvements recently made to the elementary school.